Titan WebCam for Dennis the Titan Arum! Check out our titan webcam online. The hardworking tech crew from UW-Extension put it together for us! No signs of opening yet, but stay tuned! All the shields have dropped. 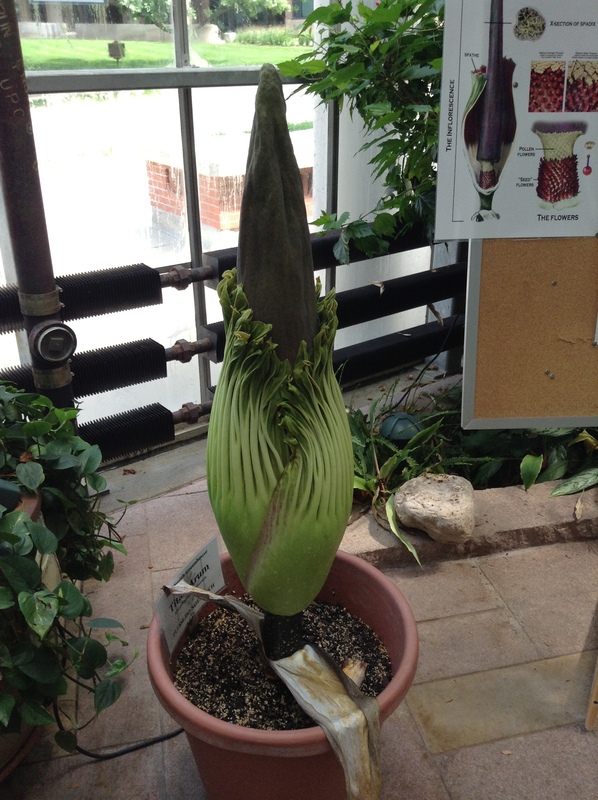 We are getting close… Could bloom today, we are waiting for word from Mo Fayyaz, the expert at the UW Botany Greenhouse. Feel free to stop by the greenhouse located at 465 Babcock Drive. We’ll post updates and let you know when the flower starts to open. 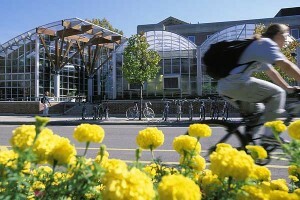 Regular greenhouse hours will be extended until 9PM during the bloom. The D.C. Smith Greenhouse is home to some of nature’s wonders including the Mimosa pudica. Also called the touch-me-not or Sensitive Plant they are currently on display in our main entrance. Stop by to check them out! The reaction of the sensitive plant is what is called a nastic movement. For more videos of Plants in Motion and the science behind it check out this website. 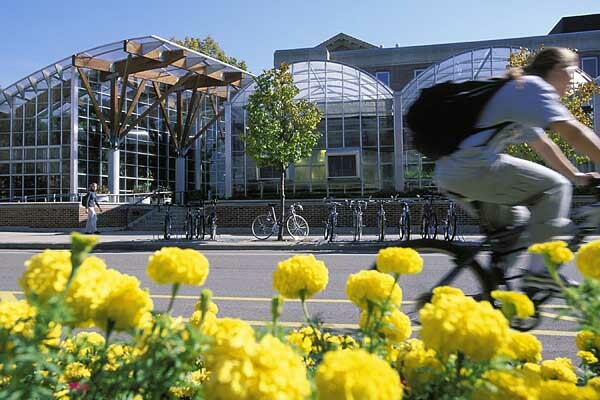 While primarily used by students and faculty, the greenhouse is open to the public Monday through Friday and also offers tours and is available for special events. For more information contact the greenhouse manager at 608-262-3844.